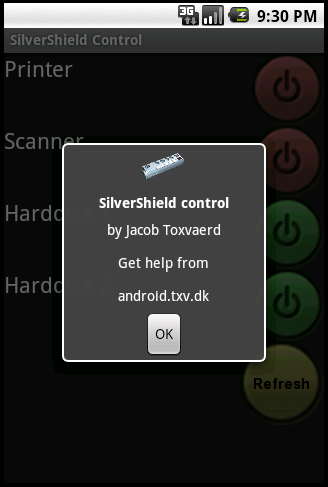 First start by getting the SilverShield Control App from Android Market. When you start it first time, it will tell you that it cant connect to the Silvershield device. Press the "Ok" button, and press the menu button on your phone. Here are all the settings that needs to be setup. The ip of the server/computer where the Silvershield device is connected/setup. Devicename Devicename of the Silvershield that was set when the Silvershield was configured on the PC. Password The password you set when the Silvershield was configured on the PC. First we will setup the ip address. This must be the ip address of the server/computer where the Silvershield device is connected. If you have attached the Silvershield to a server, then you properly know your ip address. Are you running DHCP then you can get the ip address from doing a "status" on your network adapter, or do an ipconfig from a cmd prompt. If you are using DHCP, it is recommended to configure static assigned dhcp address to your computer. Else you will have to change this everytime your router is booted. If you need to open a port in the firewall, then tcp/6100 is the port. 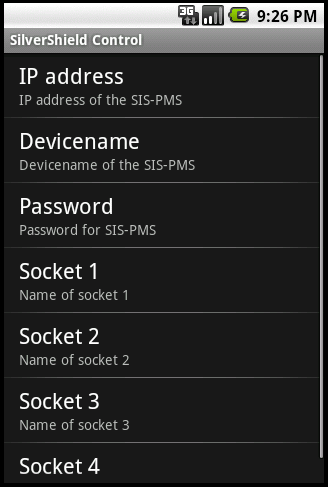 Then the Devicename and the password has to be setup. 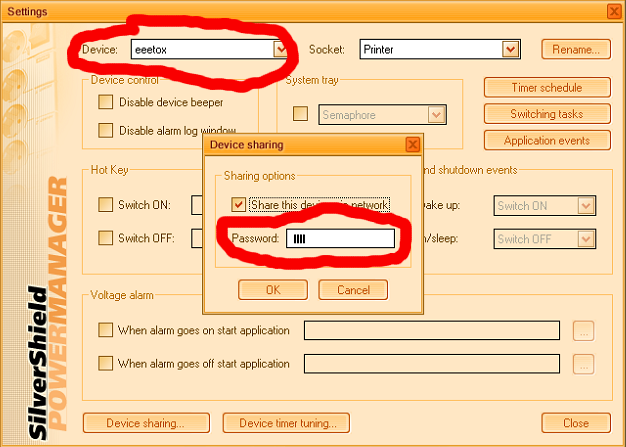 Remember that this is the two things from the sharing setup, that you should remember. 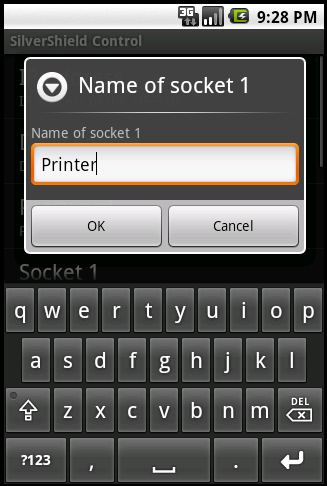 Then we need to give the different sockets a name. This is just some text that will be showed left of the buttons to turn the power on/off. When that is done you can leave the settings. Now the App will try to connect to the Silvershield. If this is successful you will see a screen like this. In the above screen Printer and Scanner is off, and Harddisk 1 and Harddisk 2 is on. 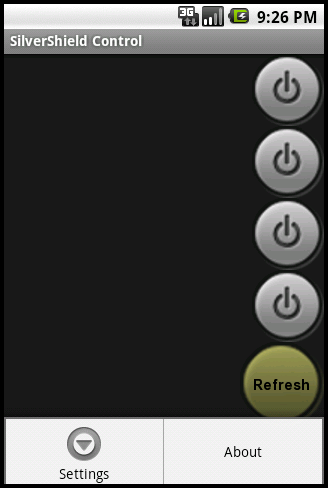 The refresh button will connect to the Silvershield device and check the status of the 4 sockets.